FARMCOOP staff and Tagabawa Bagobo tribal members attend soil and water conservation demonstration and lecture by Dr. Jun Mercado at World Agroforestry Center, Bukidnon. 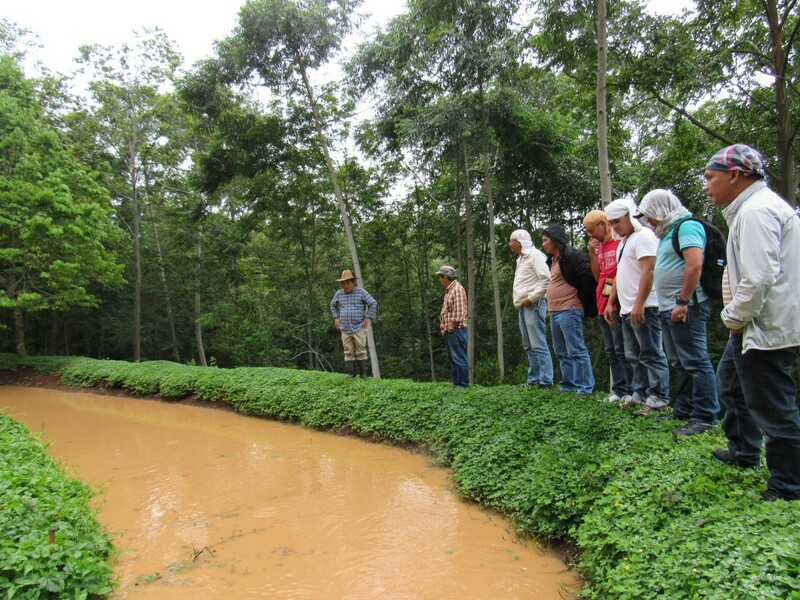 Environmental Conservation is concerned with the preservation of the flora and fauna, protection of the forests and water resources, and restoration of soil life in farming communities while fully and sustainably using their assets to provide gainful livelihood and making their farms and communities resilient to climate change. a) In the ancestral domain of Sibulan, Davao City: the production of organic banana, coffee, cacao, and vegetables for the local and global markets, the agroforestry, the development of the Non Timber Forest Products (NTFP), and the installation of Tramlines to connect farming villages. b) The agroforestry project in the 3,800 hectares of agrarian land owned by palm oil NGPI Multipurpose Cooperative in San Francisco, Agusan del Sur. c) The gradual conversion of the conventional banana plantations of agrarian reform beneficiaries from high-chemical input to low-chemical input and, if possible, to organic. Enterprise Development is the farmers’ roadmap towards genuine poverty alleviation in rural farming communities. It deals with transforming the farmers from being mere suppliers of raw materials at cheap prices to traders or agribusiness corporations who give added value to their farm products, making them the ultimate beneficiaries in agriculture and perpetuating the poverty of rural farmers. While it is necessary to hone the farmers’ skill in farm production, it is equally important to broaden their paradigm. In the transformation, the farmers become stakeholders in the processing and marketing of their farm products for the local and global markets. This way, they will earn tenfold from their farm products, significantly contributing to the economic and social development of their communities. Thanks to Farmcoop’s work through Bio-Organic Fertilizer and Pesticide Complex (BOFERPESCO), the organic vegetable farm in highland Sibulan supplies local organic vegetables to markets and restaurant in Davao City. 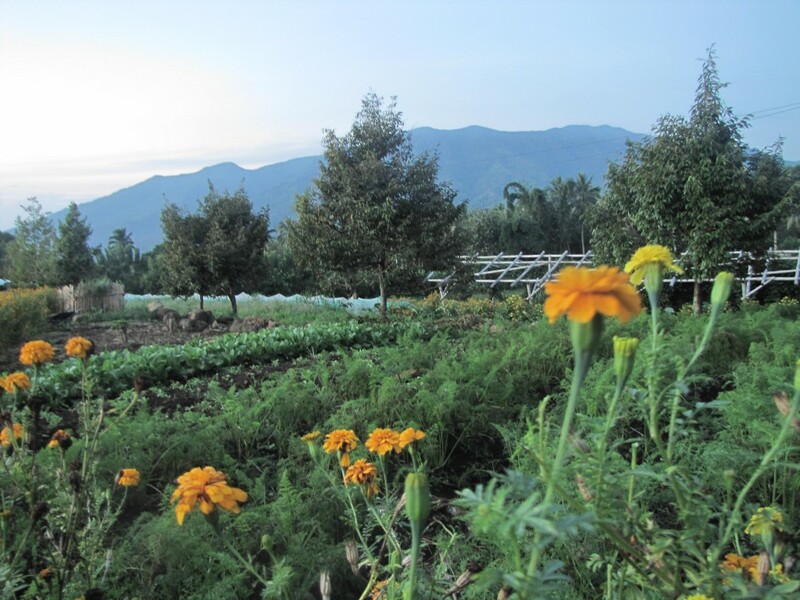 Consistent with our concern for environmental and human health, we advocate and practice organic farming. We started our venture in organic farming in year 2005 in the highland tribal village of Sibulan, Davao City, where we empowered the farmers to form their cooperatives to grow organic banana for the local and export markets. Since, year 2005, the certified organic bananas of the two cooperatives are being consolidated and exported by the Organic Producer and Exporter Corporation (OPEC), FARMCOOP’s trading arm, to the Japanese market. The encouraging developments in our venture towards organic agriculture, have inspired us to push for inclusion of thousands of coconut farmers, the poorest farmers in the country, to pursue organic coconut production and agroforestry while venturing into processing and marketing to benefit from the current boom in the coconut industry. The key to success in cooperative business is good governance. This requires appropriate systems, a functional structure, applicable policies and effective enforcement, user-friendly processes, transparency in leadership, and participatory but timely decision making. FARMCOOP’s support services ensure that its partner cooperatives have these elements of good governance in place and practice. 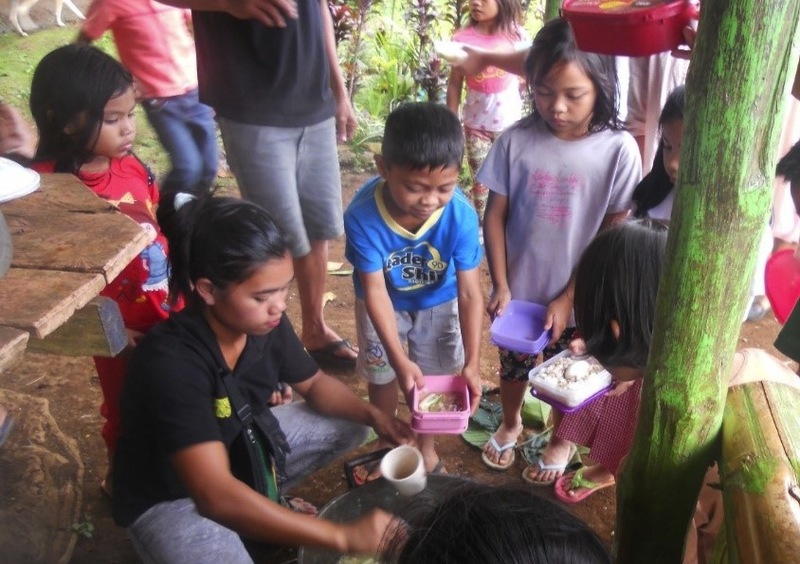 Tagabawa Bagobo youth and mother Remiliana “Mimi” Tatad (one of FARMCOOP’s organic backyard gardening technical trainers in Sibulan) along with other youth trainers coordinate families to donate their organic vegetables to Mt. Apo Elementary school feeding program which serves 300 children. FARMCOOP regards itself and its partner farmers’ cooperatives as vehicles towards building sustainable communities. Besides ensuring good cooperative governance and economic viability, cooperative social responsibility requires us to be concerned with providing the farming communities a wholesome environment where people have employment and livelihood opportunities, basic facilities such as water system, energy supply, farm to market roads, health and social services, and cultural enrichment. These are the things that we have done and are doing in the farming communities where our partner cooperatives are situated. The community which is our laboratory for a sustainable community is the village of Sibulan, Davao City, where various projects are developing.